We are pleased to introduce DC Logistics Brasil as new members. They have exceptional coverage throughout Brazil with 10 offices in Itajaí (Head Office), Curitiba, São Paulo, Porto Alegre, Manaus, Campinas, Vitória, Rio de Janeiro, Belo Horizonte and Recife. The company were recommended for membership by 3 current PCN partners. Guilherme Antonio Mafra, Managing Director of DC Logistics Brasil, will be attending the 2017 Annual Summit taking place in Prague on 19-21 November. For those already attending the event, you will be able to book a 1-2-1 meeting with Guilherme to discuss business. If you are yet to book you place (open to PCN members only), please register now as there is a strict deadline of 1st November. Guilherme states; "DC Logistics was founded in 1994 and employs over 195 people within 10 offices across Brazil. 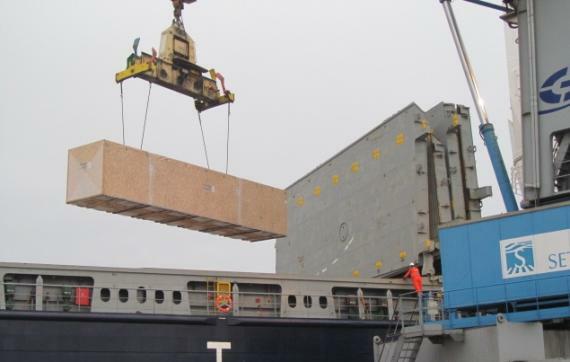 Our company is ISO 9001:2015 certified and offers complete project cargo, heavy lift, logistics, customs brokerage and freight forwarding services. 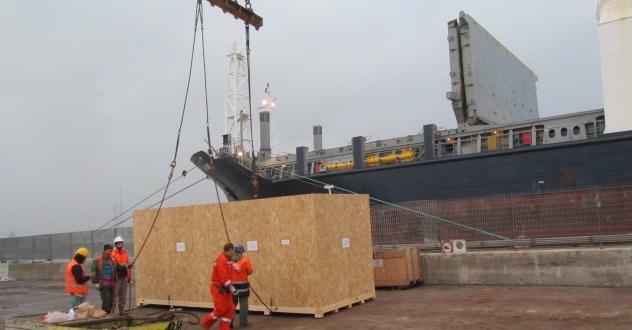 During our 24 years of service, we have handled numerous heavy lift and project cargo shipments with a special department exclusively dedicated to promoting and handling these kinds of shipments to, from and via Brazil." 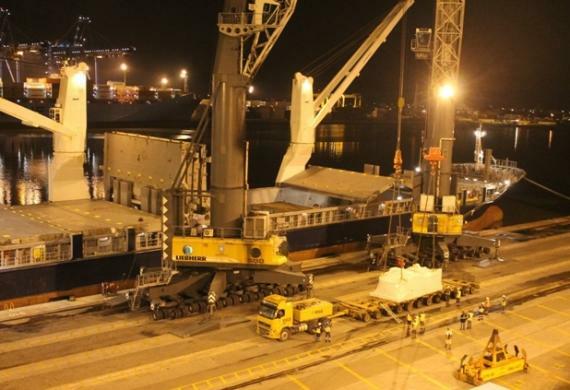 "In special project cargo and heavy lift operations, being able to rely on DC Logistics makes a difference. 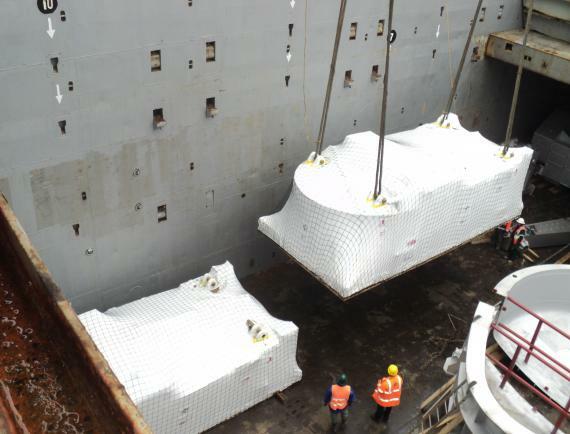 Our expert team is exclusively dedicated to offering project cargo services and carrying special loads and we focus on analysing every detail in the process to ensure a smooth operation and to minimise risks. 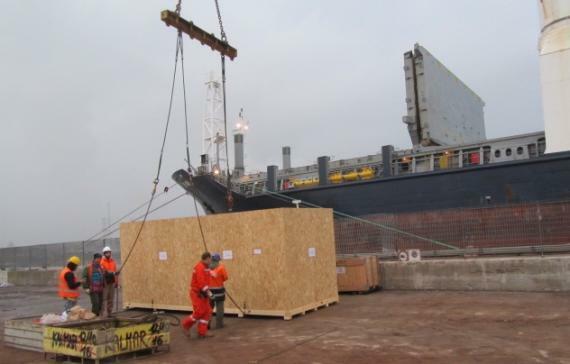 We also have excellent relationships for negotiations with national terminals for special discharges. 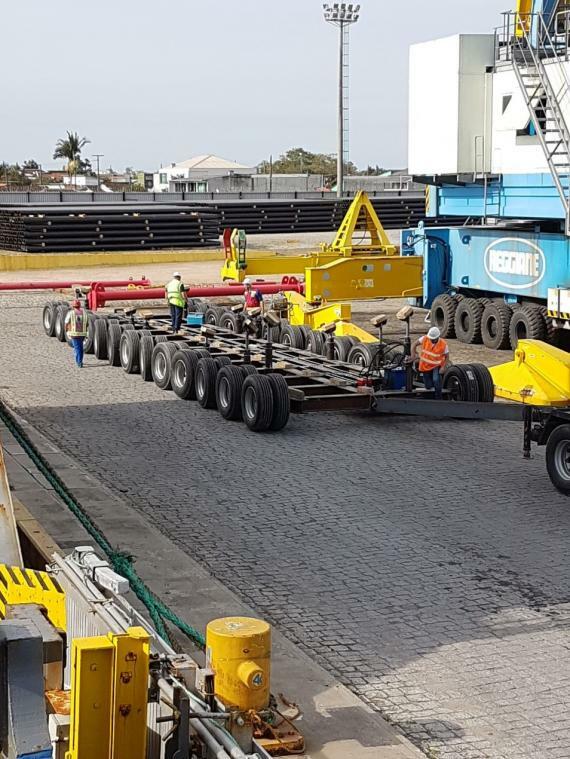 Our varied and extensive experience has included machinery, production lines, large and medium sized boats, rolling units (cranes and trucks), energy, automotive, aerospace, mining, electronics as well as many other cargos requiring special handling and customs procedures." Two examples of projects handled by DC Logistics Brasil are outlined below with photos in the gallery. 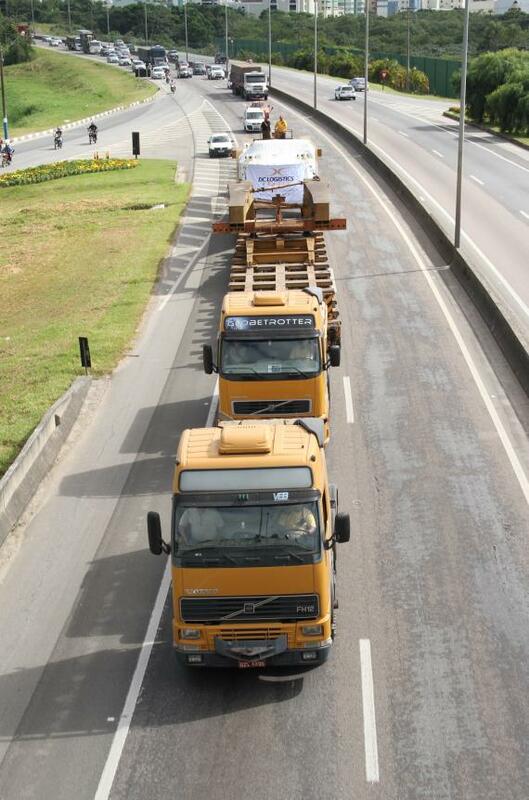 The important project was handled by DC Logistics for Portobello SA, a major ceramic company in Brazil. 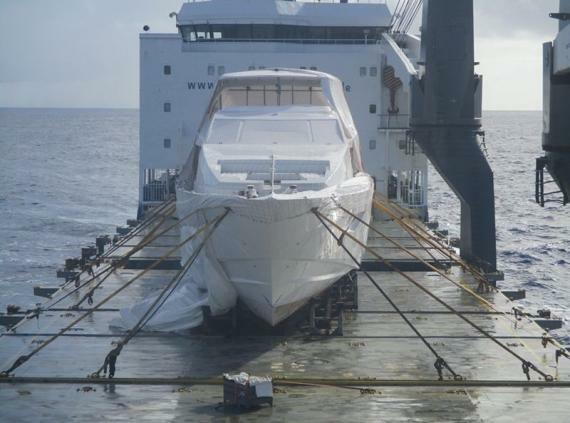 Trade Lane Development Manager, Gustavo Valmorbida comments; "We chartered a vessel for the 47 pieces and as soon as the cargo had left Ravenna, we applied for road permits in Brazil as this can take around 20 days to be approved. 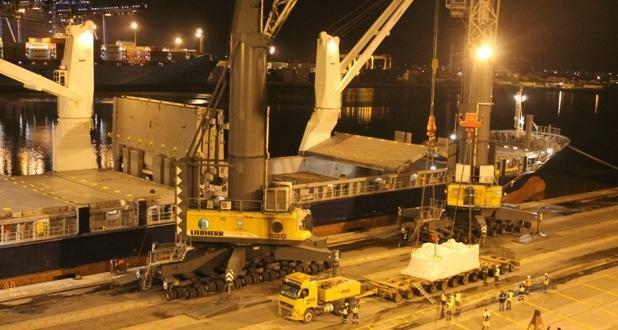 Due to this, all was in order once the vessel had berthed at Itajaí Port, avoiding high storage charges. 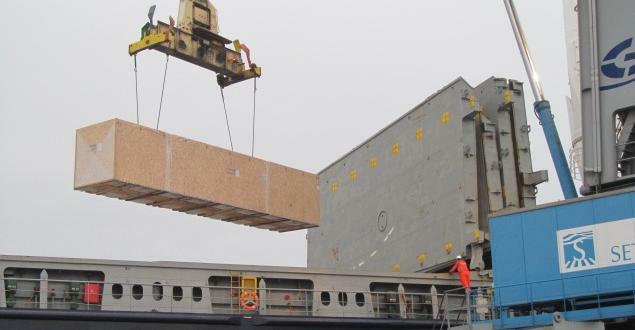 The 2 heavy pieces listed above were unloaded using 2 mobile harbour cranes for safety reasons directly onto 10 and 12 axles trailers to avoid extra handling and reduce damage risks. 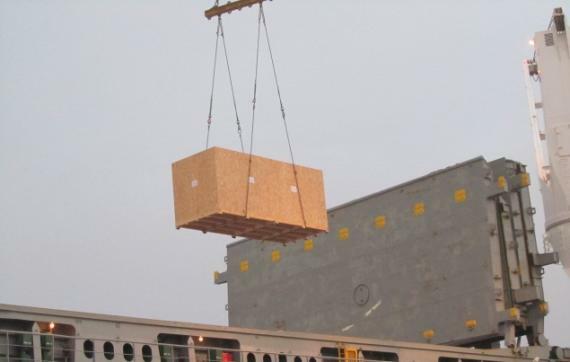 Due to the weight and size, the larger piece weighing 155tns was transported in the city with 12 axles only, but for the highways, more axles were used to distribute the weight, so we used 2 heavy-duty modular trailers plus a girder trailer." Please click here for a video of the operations. 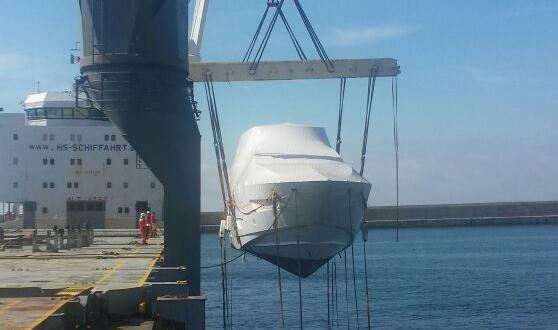 One of many shipments DC Logistics has handled for Azimut Yachts is detailed as follows. 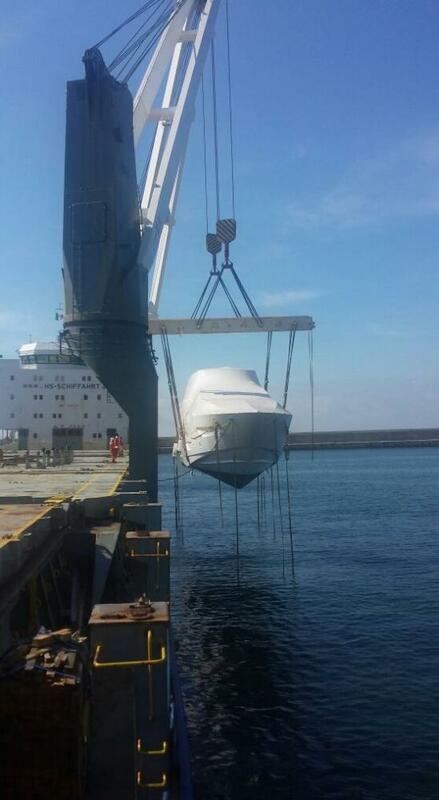 Gustavo explains; "We used a tug to move the hull from the shipper's site in Viareggio to Genoa Port as the cargo didn't have a motor. 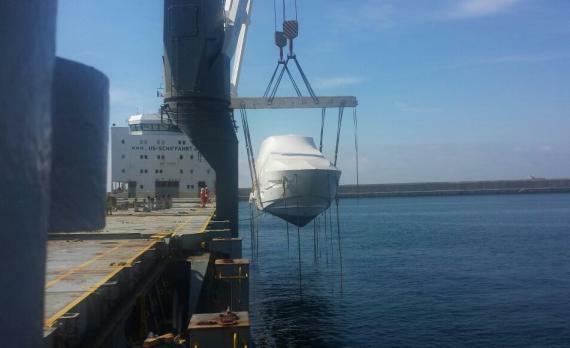 The cradle was assembled on board a charter vessel at the Port of Loading and the hull was loaded directly from the water. 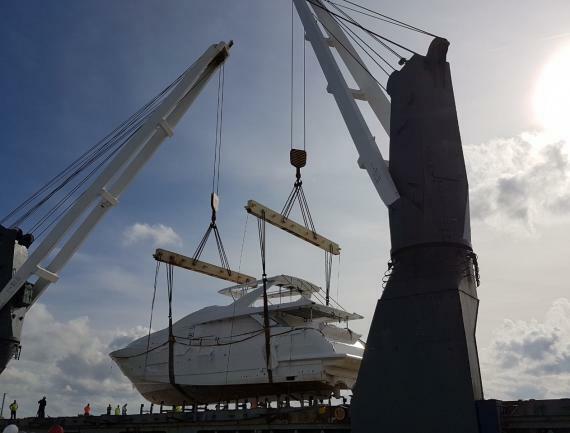 The shipyard is very close to Itajaí Port so the cargo was unloaded with the cradle directly onto a special trailer which is used by the client at their site where the yacht was finished. 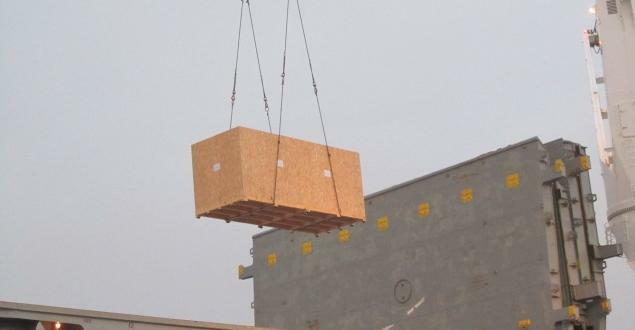 All the operations were followed by our expert surveyors from door-to-door."